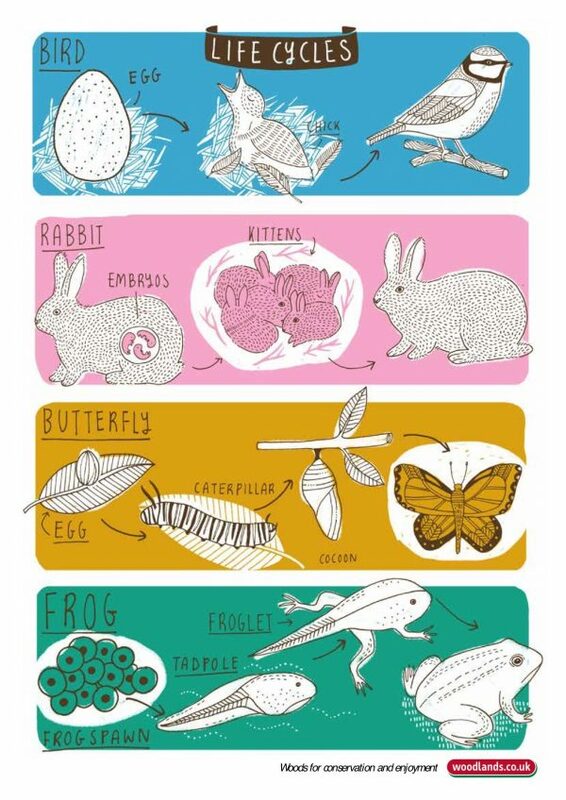 You are here: Home > Blog > Flora & Fauna > The art of identification. There is a long history of producing guides to help identify and explain the flora and fauna of woodlands. 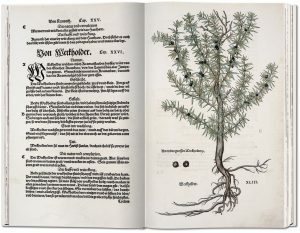 From the fine woodcuts in Leohart Fuch’s New Herbal book of 1543 to the Woodland Trust’s tree identification app. for smartphones in 2017, we have been naming and visually representing our plants and trees through the ages. 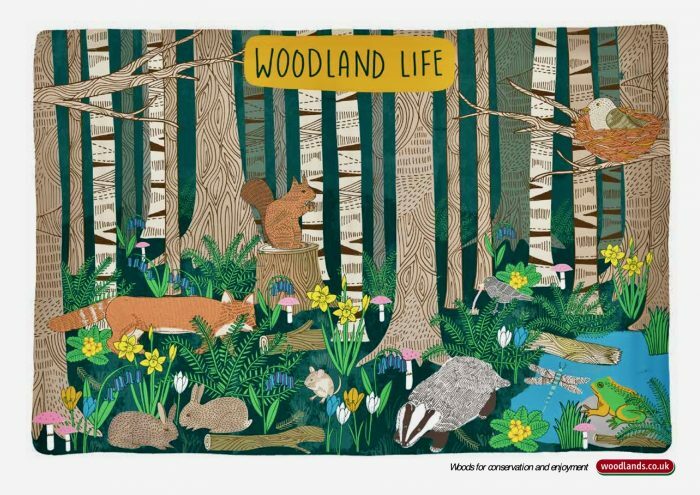 Following this rich tradition Woodlands.co.uk have launched a range of educational posters designed to help primary school children recognise and understand what they can see in their woodlands. Executed in her attractive, accessible style the first three posters in the series are by illustrator Kate Sutton. She has choosen subjects that tie in with different stages of the national curriculum. 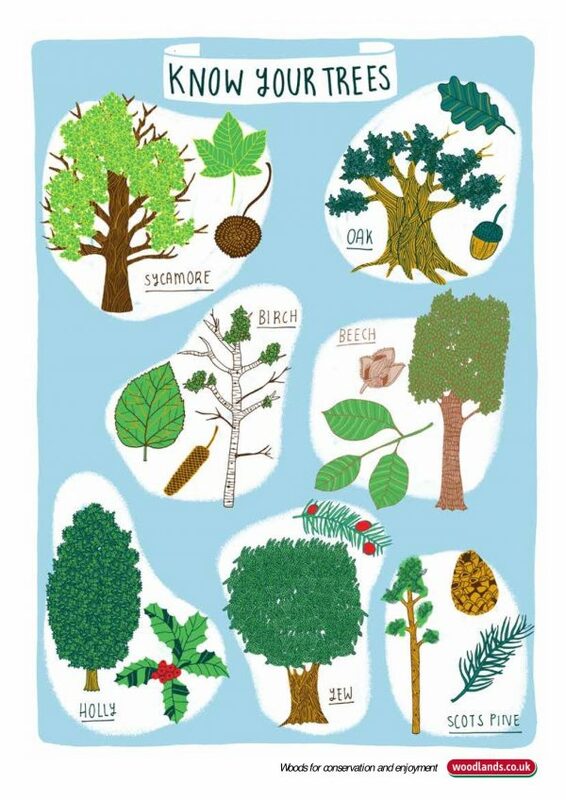 Beginning with basic tree identification, the “Know your Trees” poster features seven trees you’re likely to find in a British woodland. From Oak to Beech she has drawn the leaves, nuts or berries and tree shape in her distinct style. The end result is a poster that is both educational and attractive. Her “ Life Cycles” poster concentrates on development stages of four woodland creatures and “ Woodland Life “ depicts the interactions of creatures and plants in the wood. For teacher’s or keen parents who would like to use the artwork as the basis for a question and answer learning session, lessons plans have been prepared to accompany the posters. All the material is free to use and can be easily downloaded and printed out on demand. It will be a while before Woodlands.co.uk can match Fuch’s 500 medieval woodcuts but lookout for more posters in the series. Next up is a photographic id chart featuring ten British trees and a useful poster to help select the best firewood. Pretty cool and that it is downloadable for free that is the way to spread knowledge best I think. Kudo’s to you at the Trust and to Kate Sutton.